Private rural airport. Landing strip on a grassy meadow. Israel’s Farm (WA56) by ORBX. A good addition to FTX Pacific Northwest. Israel’s Farm is a small airstrip located east of Sedro Woolley, WA. WA56 is registered as a private airport owned by Martin L. Israel, who owns 40 acres (about 16ha) on both sides of the road. According to SkyVector this airport was activated in 1993. The runway is a 579x15m (1900x50ft) strip of grass in the middle of a large meadow and the owner is having hard time keeping long grass out of it. During landing and take-off pilot must pay attention to the trees near the end of the runway. Especially the southern approach it tricky – high trees stand right on the flight path and it requires angled approach. You should also aim for a narrow gap where the trees are slightly lower. The northern approach is easier with trees standing in a safe distance. You should fly western pattern for both runways – left for 01 and right for 19. It’s not binding but keep in mind that your neighbors live on the eastern side of your airfield. 579 meters by 15 meters (1900x50ft) of bumpy grass does not leave much of a choice (and keep in mind that you may be forced to fly the more difficult southern approach). What’s left are small planes, STOL planes and helicopters. Realistically – Cubs, Champs and other similar planes. Cessna 172 or 182 also fits nicely. If you fly during spring and summer when the grass grows high – take a high-wing aircraft. In Comanche I was afraid that my wing will be caught by the grass which reaches over Piper’s wing. Where to? 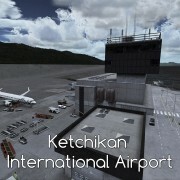 ORBX made over 20 great airports for Pacific Northwest – they make good destinations. 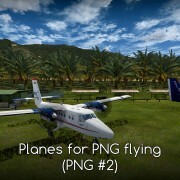 You can also download freeware RTMM (Return To Misty Moorings) airstrips. The highway stop is a good place for helicopter landing – I took my medevac EC 135 there a few times. 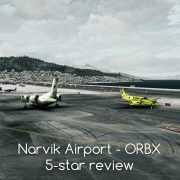 As usually ORBX provides this airport scenery together with a few square miles of surrounding terrain. 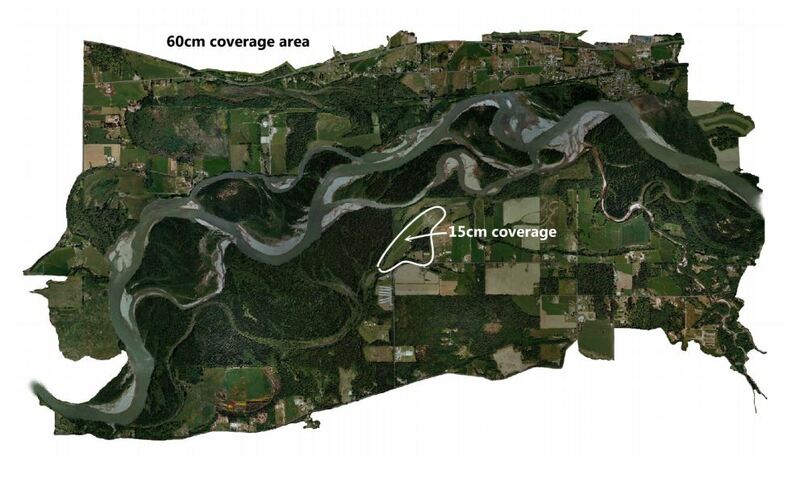 Another private airstrip was modeled about 150m / 500ft south from WA56. This airport does not show on maps but you can clearly see it on Google Maps images. The manual includes a story about how the location photos were taken. It says that the second airstrip is located by a chicken farm and is surrounded with “No Trespassing” signs. It should be considered as an extra, not a main feature of this scenery. A single grass runway is about the same length but considerably wider than the one at WA56. 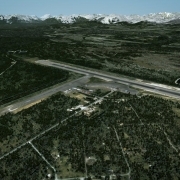 As another extra – ORBX created a highway stop by the North Cascades Highway. Product page – ORBX Israel’s Farm redirects to the FlightSimStore where you can buy this scenery for 29,95 Australian Dollars (19 Euro or 21 USD – at current rates – September 2015). As always with ORBX products you need to enter product key, order number and order date to enable the installer. Then everything runs automatically. 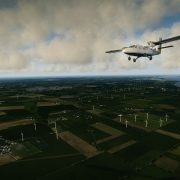 The scenery will be added to Scenery Library by FTX Central (the software that activates ORBX sceneries in Flight Simulator). The scenery requires ORBX FTX Pacific Northwest (read my 5-star review). Without FTX PNW Israel’s Farm should work but some features may be missing. The manual is 18 pages long. It describes the scenery, suggests the correct FSX settings for this scenery and explains how to use the scenery configuration tool. You will also find information about the creators and troubleshooting tips. There is also Philip Wilson’s Photo Shoot Story on page 3. it’s the most interesting part of this manual (and the one you should actually read even if you know everything there is to know about ORBX sceneries). Configurator allows slight changes in scenery appearance – user can adjust it to the season, personal preferences and PC capabilities. The first group of options deals with grass. You can turn it off entirely, choose low grass, medium grass (should be turned off in January) or high (for High-end PCs only). I started a flight, waited for the simulator to load it and…WOW! There is a see of grass around me. From a small Piper Cub it looks extraordinary – everywhere I look – there is high grass. At take-off I noticed something on top of the fence – I’ll check this later. My Cub is climbing steadily and the trees are far enough so I do not have to change my fight path. I even turn towards them – to the left and over the river. Once again – WOW! They promised dead trees and floating logs but I did not expect to see so many. I am right above a sandbar where there are hundreds of them. It may be a place where logging company collects them – there is a small building on the river bank. Turning further left and entering the pattern that I previously left I fly over the forest. It’s density is almost perfect. When I turn base I notice that there is a meandering stream or an oxbow where dead (or cut) trees lay on the ground. It looks like someone is using this clearing for logging. Not far away a crew loads trimmed logs onto a truck. There is a yellow excavator just under my flight path – it’s an excellent landmark that I use on approach as it’s more visible than white warehouses on the right. Now – on final – I just need to find a gap between the trees and correct the angled flight path a moment before landing. Piece of cake… or a go around. The farm is exactly what I expected. The farmhouse is a bungalow with large windows and a deck built along front and side walls. Flowerpots around the house suggest that someone takes care of this property. On the other hand the grass needs to be mowed and the bench was not painted for years. When I look at this house I would not guess that I am at the farm somewhere over Skagit River. It could as well be Seattle suburbs. When I look around – the all doubts disappear. A barn covered with a rusty sloping roof is partly wooden and in parts it’s built of corrugated steel. A small storage space by the barn is fenced with wire mesh and covered with tarpaulin to protect wooden pallets from rain and snow. There is a single feature of this scenery that could see improvement – building textures should be a bit sharper. If you look closely (there is no space here that would allow me not to look closely) – textures are a little blurry. Farm vehicles are parked around the barn. A pick-up truck, a manlift, a small bulldozer and a tractor. The quality is impressive. Lettering like Oliver on the bulldozer and Grove on the manlift is easy to read. I like that these vehicles look old and worn – with scratches, chips and rust covering places where such imperfections are expected. The third building is a small tool shed. A thermometer hanging on it’s wall shows 63 degrees (F)… it’s broken – I am sure it’s 52 now. There are few other objects on the farm. Logs laying in tall grass look just perfect. I love how the plants are growing around the logs and how naturally it looks. Gas tank behind the house is the only object that I do not like. It looks… like someone forgot to put textures on it – it’s just painted blue with no details or shading. Aircraft parking is situated just behind the house – a single plane is parked there (I am not sure what type is it – maybe a Tri-Pacer with a tricycle gear?). You can squeeze two or three Cessnas in the space next to it. Unfortunately the scenery lack defined parking spots and the only place where the flight can be loaded is the runway (unless you save the position yourself). Terrain slopes down along the taxiway. If you choose the tall grass – this is the best point to watch it’s beauty. Grass seems to be everywhere – the taxiway is even narrower than the runway. Close to the end of the runway there is a fence. What caught my attention earlier were white bottles mounted on top of it to help the pilot in distinguishing the fence from the background and judging it’s height on approach. I do not know if that is a special feature of this scenery but the runway seems more bumpy than most grass runways. By how it looks grass should be rated 6-stars. I took out one for the performance hit it causes. From the usual 30 my FSX dropped to 18. It’s far less than I expect even from the most advanced sceneries. The up side is – that frame-rate is constant and causes no problems in flying. But still – I feel the difference in how the image moves on the screen. There is no doubt that it is the long grass what causes the problem – it’s enough to look in other direction and FPS are again at 30. Unfortunately – this is a “long-range” grass. FPS drops happened to me when I fly 10-15 miles from the airport (only when I look in direction of this airport). If your PC can not handle this feature – you need to turn of the high grass. You will be left with medium grass that is on par with grass in most of payware sceneries. Actually – I chose to fly at 18 FPS. The long grass is so good! I do not rate this one because I treat is as an extra to the scenery. It’s quite good – a small airport with a turf runway “fenced” with grass. This airstrip also features a messy parking where aircraft and parts lay around without any obvious order. It’s nice to have this airstrip – I land here from time to time using it the same way I use freeware airports for PNW – to make my flying experiences more diverse. I almost forgot – there is a nice combine harvester on the field next to the runway. First of all – they should fire the person who is responsible for marketing in this highway stop! I spend an hour trying to find it and found it only after looking on maps.google.com. Good think this stop has it’s photos on the product page and in every review – without them I would never have found it. How to get there – take off runway 01 and fly runway heading until you reach two roads. The first is Lyman Hamilton Road and the second (150m / 500ft later) is North Cascades Highway. Turn right. The highway stop will be on the left side of this road in 500 meters (0.4 mile). My first thought was – “what for?”. Ok, I get it – it’s a pretty thing. But why would someone add a detailed scenery feature that you can not see from the airport? Most users will never get here. Then I thought about flights that can use this part of scenery and I came up with HEMS. This is a perfect landing site for a medevac helicopter. I recommend this place at night. This is the best part of the scenery in terms of night lighting (there is not much you can do at a farm in terms of lighting). It’s the attention to details what got me to like this scenery so much. Take the fence I described earlier. Someone could have simply omitted this bottles and no one would care. But ORBX modeled them. I can repeat the same looking at details like plates on the gate – no one sees that from the plane (especially at the main gate to the farm – it’s 100m from parking). But the plates are sharp and detailed. I love the logs on the river. They make my sandbar landings so much more exciting! And finally I have a place where I can actually land on a sandbar and it’s not just a flat texture. Apart from the vehicles mentioned earlier there are many small objects on the farm – barrels, small trees in front of the house, a trailer resting against the barn wall. You can find more small objects at the other airstrip. What makes this scenery outstanding are the cars parked near many houses of this scenery. Usually autogen houses have no clutter around – this scenery is slightly different – thanks to cars. The only downside of having this cars is that they are all parked with lights turned on. No one will be able to help them when their batteries die. Above the airstrip you can observe birds (this can be turned off in configurator but I see no sense in this – unless you are flying in winter). Additional audio imitates their voices and sounds coming from nearby forest. The airstrip is covered with 15cm/px photoscenery and the rest of the scenery – with 60cm/px images. The first resolution is sufficient and the latter – very good for this purpose. The photoscenery comes in several seasonal versions (shades) – they seem correct and natural. 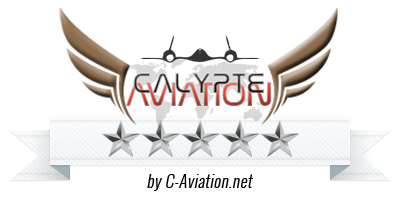 4 stars is the average rating of 5 and 3. 3-stars for the performance with long grass. Sorry – 18fps on my PC is a terrible result. 5-stars for the performance with medium grass. I did not see any adverse effect of this scenery on my PC. At the end – I chose to fly at 18FPS when looking in direction of this airport. I like the grass too much. Israel’s Farm scenery is a beauty. 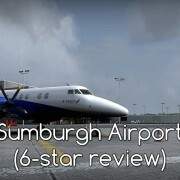 ORBX team showed us that there are things that can be created differently in FSX. What they did with this grass is amazing. Apart from that – this is just a very good airport to fly from and the scenery around it makes a perfect place for a local flight in a Piper Cub or Cessna 172. On of the greatest advantages of this scenery is that it has no significant flaws. Despite the performance hit I mentioned – it is and it will be a place where I fly often. 29.95 AUD / 19 Euro / 21 USD (EUR and USD at current rates – 2015) makes it a standard price for a scenery. And it’s a very good scenery. It’s a very good deal.